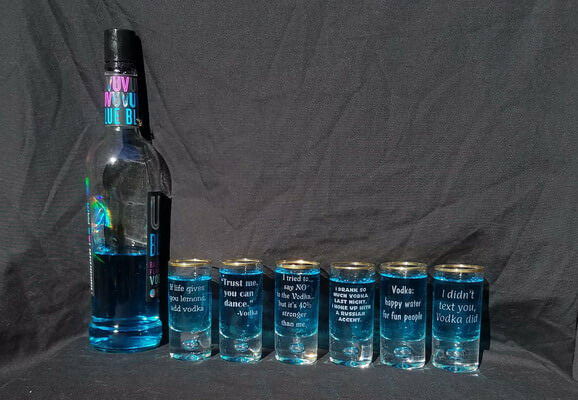 Adding text and/or a design to the back of this glass set is $18.00 per set. Designs on the front of the glass are free. 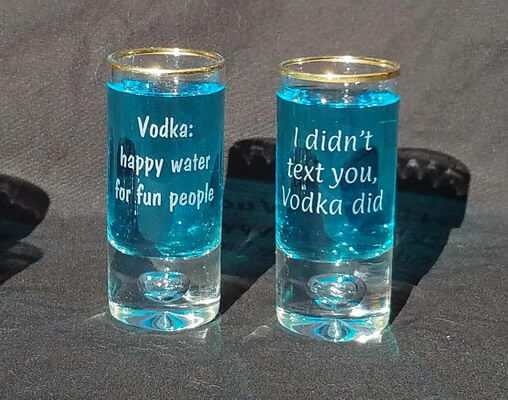 Add an additional $18.00 for a design and/or text on the back of the glass set. These glasses have a bubble in the base. You can get them as shown or completely personalized them to your taste. Feel free to ask for other designs, any questions you might have or if you'd like to see a proof of your idea! If you'd like the set just like the picture you can leave us a note in the text box. 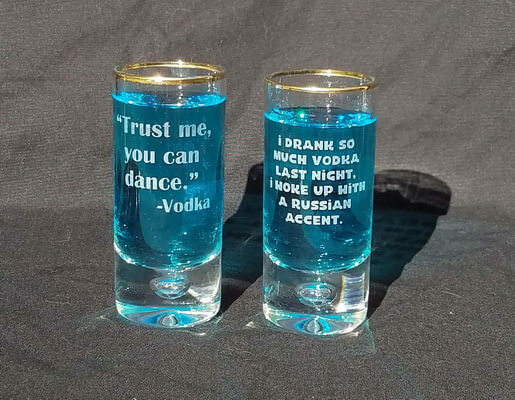 I drank so much Vodka last night, I woke up with a Russian accent. 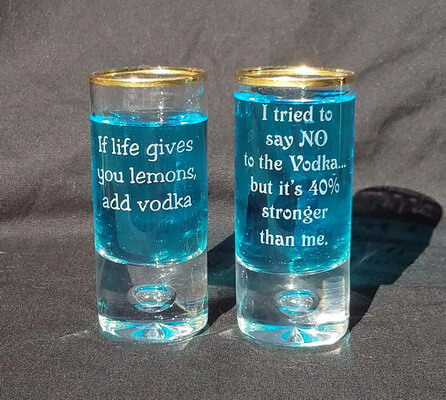 I tried to say NO to the Vodka... but it's 40% stronger than me..